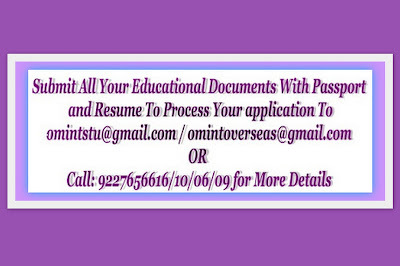 OM VISA Consultancy - Global Immigration, Students, Visitor, Business & Work VISA Consultants: Study in USA, Scholarship opportunity from Wichita State Univeristy, Get Benefit Of Scholorship, Enroll Now through gujarat's Top leading Consultancy "Om International"
Study in USA, Scholarship opportunity from Wichita State Univeristy, Get Benefit Of Scholorship, Enroll Now through gujarat's Top leading Consultancy "Om International"
We are pleased to announce that Wichita State University is offering scholarships for new undergraduate students who are accepted for the Fall Semester 2017!Scholarship awards will range from $2,500 to $5,000. The deadline to apply for a scholarship and to have admission to an undergraduate program is June 1 and students will be notified on or around June 15. Tuition Fee: $ 15,124 p.a.